Is your due date somewhere in May, June or July? 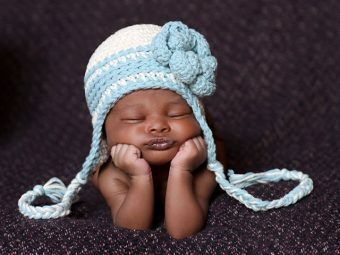 Are you looking for bright and shiny names for your bundle of joy? Then why not go for names that mean Sun? The glorious sun is a great inspiration for naming children born in the sunny months of May to August. 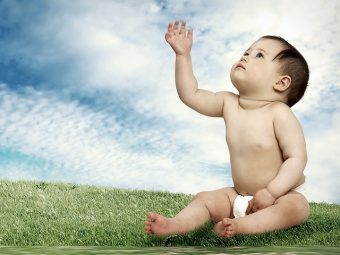 From the ancient deities worshipped by the early civilizations to the names meaning Sun, we have looked up everything to create this sunshine laden baby name list. These names will help you decide a for the newest member in your family. Keep reading! This Spanish name is one of the several alternatives of the Sun god Helios who drives across the sky every day in a horse-drawn chariot. Currently, Elio is very popular in France and ranks in the top 250. Elio Di Rupo, the 50th prime minister of Belgium, is one of its most famous bearers. In Hinduism, the name Aditya, meaning ‘sun’, is a long-standing favorite. Aditya Chopra, the Indian film director, producer and writer is its most popular bearer. Adi is the most used nickname of Aditya. Apollo is the god of many things – music, light, poetry and of course, the Sun. With the rise of mythological names like Zeus and Hercules, why not consider Apollo? In fact, it’s also one of those ancient god names that have been deemed appropriate for mortals.Gavin Rosedale and Gwen Stefani chose the name for their third son. The NASA Apollo Program is another cool association of this name. ‘Sun’ is one of the many possible meanings of this Persian name. The name is very popular in the Iranian community. They choose the name to pay tribute to the mighty Cyrus, the Great, the founder of the Persian empire. The name feels much more modern and friendlier now, after being picked by Hugh Dancy and Claire Danes for their baby boy. This name of Hindi or Cambodian origin, means ‘sun’. In Hinduism, Arun is the name of the charioteer of the solar deity. The name entered the top 100 list in the early 1920s and remained there for over 40 years. After an extended slump, we are seeing signs of rising along with other A starting Indian names. Eliana is a musical and lilting choice, which has begun to catch on along with the other El-starting names. The meaning of Eliana is ‘daughter of the sun’. The name has made its place in the top 100 and is rising consistently, primarily because it is a multi-cultural name. It is heard in Spain, Russia, Portugal, Italy and Israel. Christian Slater chose the name for his daughter. You can consider Ellen as the short name, which also happens to mean ‘sunshine light’. If you are looking for an unusual sun inspired name, go with Eleodoro. Eleodoro is an exotic Spanish name, meaning ‘gift from the sun’. It is one of those names that were important to Spain during the 18th century. The Biblical name Samson with Hebrew roots means ‘sun’. Samson was an Old Testament hero who had extraordinary strength. But his mistress cut off his hair, stripping him of his power. The name is currently at its highest rank ever #628. It is usually adopted by parents who like the nickname Sam, but do not want the super common Samuel. Its spelling variant Sampson can also be considered. Surya, the name of the Hindu god of sun, is mostly heard in its own culture. It is usually used for males, although American-French figure skating champion Surya Bonaly is female. Surya, the sun salutation in yoga, may be a nice reference for this name to the Westerners. Not many must be knowing that Roshan is a Persian name. But this name is more used in India than any other parts of the world. This name was popular in the medieval times, right after India’s independence in 1947. Phoebus is an alternative name for Apollo. The name would appeal to parents because of its ‘s’ ending. It is also related to Phoebe from the TV series Friends. Besides, this name is also borne by a character in The Hunchback of Notre Dame by Victor Hugo. Levant would make a modern and striking name for your little one. It refers to the direction of the rising sun. The name Levant is hugely popular in Turkey and is one of our favorites as well. It would make a great name for kids born in April or May. Sharik is an Arabic name, meaning ‘one on whom the sun shines’. You can opt for its alternative spelling Sharique as well. Cymbeline is also the title of the Shakespeare’s play based on the legend featuring the early Celtic King Cunobelinus. We must say that this name is musical and rhythmic enough to be considered for a girl. Now it’s totally up to you to whom you want to give this name. Aelius is a Roman family name derived from the Greek word, meaning ‘sun’. It was the family name of the Roman emperor Hadrian. Aelius has not been in the top 1000 since the 1970s, but we do think it is slated to rise again. It’s already hugely popular in Greek, followed by Scandinavia and Norway. Sol is Spanish for the sun. Mexican parents, in particular, are drawn to this composed and quiet name. Sol Gareth Davis, the American first self-declared World Citizen, the peace activist and the founder of the World Government of World Citizen and World Citizen Foundation is its most popular namesake. Sol was also the name of the evil preacher in the book Warriors by Erin Hunter. This short and sweet name would make a good nickname for Solomon. If you want a traditional, sun-inspired moniker for your son, go with Ravi. Ravi is a title of the Hindu sun god. It’s a solid name with lots of personality and history. This moniker was made cross-culturally famous by Ravi Shankar, the famous sitar player. The term Blaze has a strong connection with the sun. This fierce name connotes a fiery personality, just as how fiery, the sun is. If you want to make your kid stand out from the crowd, call him Blaise, a stylish variation of this name. Ishan is another interesting Hindu boy name, meaning ‘sun’. The name has its roots in ‘ish’, a Sanskrit word, which means ‘invisible power’. Ishan is also the name of the guardian of the northeast direction. This name is loved not just in India, but also in some parts of the UK and Canada. Aarush is a Sanskrit origin name, meaning ‘the first ray of the sun’. After hanging around the latter half of the top 100 names for boys for 25 years, Aarush is beginning to fade. But this old time name may soon be following the footsteps of its cousin Anshul. The meaning of this lovely name is ‘the sun’. Although Aftab originated in Africa, it is heard widely in other parts of the world like India, Pakistan and the Middle East. 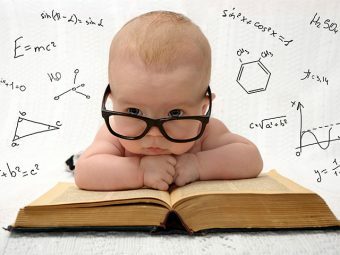 In fact, this name has risen continuously after entering the top 500 baby names in the year 1999. Anshul is a firm MomJunction favorite. It means ‘sunbeam’. The stylishness of this name has increased substantially over the years. Ra is the name of the Egyptian sun god. He became an important god in the Egyptian dynasty in the 25th and 24th century BC. In the later Egyptian dynastic times, Ra merged with the god Horus and ruled all the parts of the world. Ra would sound great as a middle name, or in combination with a longer name. Freyr is one of the most important gods in Norse mythology. He is the God of peace, fertility and sunlight. He was said to bestow peace and prosperity on the mortals. The name has a trendy Norse feel combined with the noble and upstanding image of this Norse God. In fact, so many people were inspired by this god that 1976 witnessed the most number of Freyrs born in North Germany. Lastly, sun is the most obvious name for this baby name list. But Sun does only mean the big celestial object. In the Irish language, the meaning of sun is ‘from the town by the river Boyn’. It also means ‘obedient’ in some languages. So this name is full of positive connotations. The name Easter has been used for hundreds of years as a part of the day naming tradition. Meaning ‘where the sun rises’, the name Easter is derived from the German goddess named Eostre, whose feast was celebrated at the vernal equinox. They later adopted the name for the Christian festival of the resurrection. This rarely heard holiday name would make an excellent choice for a summer or springtime baby. It also appeared on the top 1000 list for a few decades of the 20th century. This Scottish form of Helen, meaning ‘shining light’, has had a rich history. It appeared as the name of one of the brilliant heroines of the Arthurian legend who fell in love with Sir Lancelot, and later became the mother of Sir Galahad. It is also the name of one of the major characters in the iconic television series ‘Seinfeld’. Aine is the name of the Irish goddess associated with the sun. This traditional Irish name belonged to the queen of the Munster fairies. It is also sprinkled throughout Irish folklore as the Celtic goddess of prosperity and summer. The only issue is that the pronunciation and spelling could be a bit confusing for some people. Arunika is a beautiful Sanskrit name, meaning ‘early morning sunlight’.It’s one of those classic names that many people are returning to. It is a pretty uncommon baby name as it listed outside the top 1000. 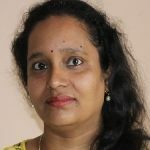 So there are dim chances that your child will bump into another Arunika. The name Elidi, meaning ‘gift of the sun’, has Greek roots. After being out of favor for decades, we see signs of comeback for Elidi. Helen is one of the strong, classic girl names that mean sun ray or shining light . The name has connoted beauty since the ancient times. It’s the name of the mythological goddess over whom the Trojan War was fought. Helen has constantly been in and out of favor over centuries. It was one of the top five names for decades, before falling out in the 1930s. Marisol is a perfect name for a summer baby. Combining the elements of sea and sun, Marisol is the perfect candidate for best cross-culture names. This well-used name in Spain is quite common on American television as well. Both “Orange is the New Black” and “Devious Maids” have characters named Marisol. The name Oriana, just like the more common Arianam is associated with sunrise because of its golden aspect. The name, featured in a number of medieval tales, was used as an epithet for Queen Elizabeth I. In the medieval tales, Oriana was the lover of the knight Amadis. The name has also appeared in three 17th century plays. Oriana Fallaci, the noted Italian journalist, is the most popular bearer of this name. Scandinavia is home to some of the most beautiful sun-inspired names. The Greek name Idalia comes from Idalion, a Greek city, meaning ‘I see the sun’. As a name, Idalia is an interesting variation of the currently popular name Alia. Ida would make a quirky nickname for Idalia. Sunniva is a Norwegian name, meaning ‘sun gift’. It is the name of the Irish-born patron saint that fled to Western Norway with her followers and eventually died. After the report of miracles, the cave was excavated, and Sunniva’s body was found intact. It would make a distinctive choice for someone of Scandinavian ancestry. The name is pronounced as ‘SOON-ee-va’. Sunni or Sunny would make upbeat nicknames. The French name Soleil for sun may not be much heard of in Normandy, but it has a lot of appeal for the outsiders. The name is usually associated with Soleil Moon Frye, when she was a Punky Brewster. It has also started being used in the US. The name Thea is an Anglicized spelling of Theia. In Greek mythology, Thea is the goddess of the sun, dawn and the moon. She is also the mother of Helios, Eos and Selene and the consort of Hyperion. As a given name, Thea has a highly appealing sensitive, serene and artistic image. You can also use Thea as a short form of Althea, Dorothea, Theodora and Anthea. Savita is a Hindi name meaning ‘sun’. It is one of those Indian names that could easily immigrate. Tweak the spelling a bit to make it Spanish and Italian Sarita. In fact, the name has already begun to be heard around the preschools and playgrounds. It has entered the top 2000 in the US but has a way to go before it catches up with its other Indian names. This lovely name means ‘sun bright, glowing’. There is a dispute regarding the origin of this name. Some believe that Siria is a Spanish name while some say that it’s Persian. But the problem is that many people would confuse it with the country Syria. Solange is a soft and soothing French name meaning ‘angel of sun’. The name became popular because of its relation with Beyoncé’s younger sister Solange Knowles. Solange is also the name of the martyred 9th-century saint, the shepherdess who had a tragic end while defending her honor. St. Solange is also a patron saint of rain. Kalinda is a rhythmic Hindi name, meaning ‘sun’. The rhythmic name relates to the Kalinda Mountains, from which the sacred river flows. Americans would relate the name to the character Kalinda Sharma from the series The Good Wife. The role was played by British actress Archie Punjabi. The name Malina comes from the Inuit mythology. It is the name of the goddess of the sun. Some people consider it to be a feminization of the Scottish name Malcolm. So we can say that Malina is a little bit of many things. Kyra comes from the male name Kyros, which means ‘like Ra, the sun’. The name also sounds like the popular Kiera or Keira, but these names have entirely different meanings. Meaning ‘rising of the sun’, Arpina has a fresh and early morning vibe. The sound of this name might not be very mellifluous, as it sounds like Derpina. This Armenian name is also spelled as Arpineh is some regions. Solana is a Spanish name that means ‘sunshine’. Just like its meaning, the name is also warm and bright. It would sound unusual to the Spanish ears, and that’s what makes it even better. Sunshine is a straightforward and sweet name referring to the majestic sun. Once viewed as the quintessential hippie name, Sunshine has now started to come out from behind the clouds, especially after appearing on Glee. The name was at its peak in 1975, with a rank of 534. Sunny would make the best nickname. Apollonia, the feminine form of Apollo, the Greek sun god, has an appealing and exotic feel in the modern world. St. Apollonia of Alexandria brought great popularity to her name in the middle ages. This name first came to attention through Prince’s love interest in the film Purple Rain. Apolonia, with one ‘l’ is the name of a character in John Steinbeck’s novel The Pearl. The trend is rising for popular season inspired names, which began being used in the 1970s and had constantly been heard ever since. The name Summer brings to mind the bright sunshine and warm weather. This name has popped up over the big and small screens as well. Summer was the name of Zooey Deschanel’s character in 500 Days of Summer. It made appearances in Baywatch, The Mentalist and The O.C. Alba is one of the most successful two-syllable names starting and ending in vowels. The name has a glamorous association with Hollywood actress Jessica Alba. It was also the name of a character in The Time Traveler’s Wife. The meaning of Alba is ‘sunlight’. This Scandinavian name meaning ‘daughter of the sun’ has rarely crossed the shores of the country. It was the name of the lead actress in Ibsen’s Peer Gynt. Currently, Solveig is one of the top 100 names in Norway. Make sure you know the correct pronunciation of this name. Pronounce it with ‘g’ silent. With its sunny opening syllable, Sunday is one of the most usable day names. It got popularity when Nicole Kidman and Keith Urban chose it for their daughter. 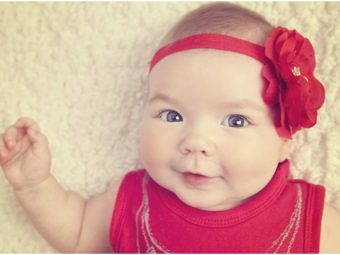 There were over 30 baby girls named Sunday in 2015. Sunday Reed, the artist notable for collecting and supporting Australian art, is a noteworthy namesake. Aurora is the name of the Roman Goddess of sunrise whose tears turned into dew. Besides, Aurora is also the scientific term for the Northern Lights. The name has been on the popularity list consistently since the 18th century and is currently at its highest point ever. This name is also connected to one of the Disney princesses. So your little one is sure to feel like a princess with this name. 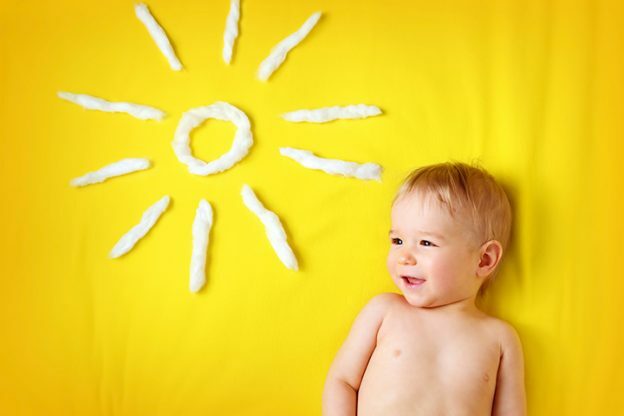 Would you opt for a sun-inspired name for your child? If yes, then which of these monikers would you pick for your child? Share with us by commenting below! 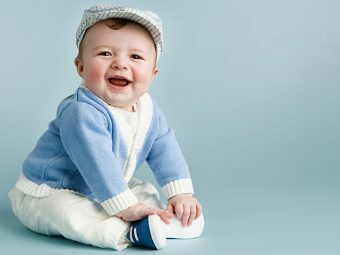 How To Choose An Appropriate "Last Name" Based On A First Name For Your Baby Boy?